PINY SKILLS ACADEMY Positive Impact New York, Inc. hosted its inaugural PINY Student-Athlete Academy at Albany Community Charter School. The campers were treated to workshops on various topics such as NCAA guidelines, positive energy, goal setting, strength & conditioning, the recruiting process and speed and agility in addition to a rigorous basketball workout and games. 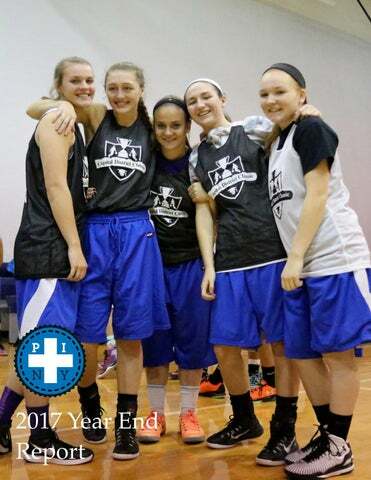 The PINY Skills Academy was created with the purpose of giving high school girls the opportunity for showcasing their talents.emphasis on character, education, and skill development. M.A.A.P (MY ACADEMIC AND ATHLETIC PLAN) Positive Impact New York, Inc. created “The M.A.A.P” program to give studentathletes a leg up on the NCAA (National Collegiate Athletic Association) Eligibility process. M.A.A.P is a student-athlete consultation service that provides them assistance with reviewing transcripts and schedules and ensuring that all clients are in compliance with NCAA guidelines. M.A.A.P. empowers student-athletes by providing them with academic and athletic support services to increase the number of student-athletes prepared for high school and college.